Celebrate the evening at our rooftop, Fallsview restaurant, The Watermark. 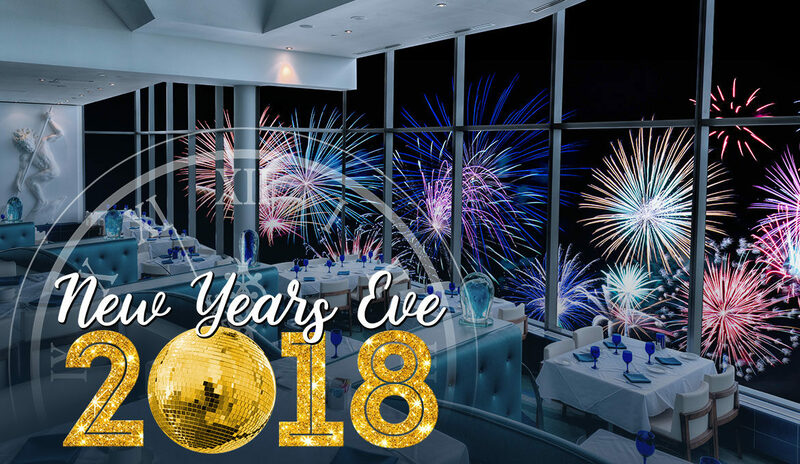 Enjoy a special New Year’s Eve Menu, champagne toast, late night party favours, and the city’s best view of the New Years Eve Fireworks (late seating only). Three-course meal for $79* per person. Four-course meal for $99* per person. Fireworks displays at 9:00PM and Midnight. 1.5 hour seating limit. *Prices do not included taxes & fees. Credit card required to book. $25 no show fee. Seasonal salad with shaved radish, smoked Balderson Cheddar, and white balsamic vinaigrette. Pan seared with citrus braised endive. Farmhouse chicken galantine with pistachios and fig chutney. Chilled tiger shrimp with mango chutney, sweet chili, and horseradish dips. With kale, double smoked bacon and truffle oil. 8oz. Angus beef tenderloin with Gorgonzola butter, Cabernet jus, and Yukon mash. Saffron risotto with smoked spicy shrimp, crab, and charred onion. Crispy chicken with champagne vinegar aioli, fingerling smash, butternut squash and cauliflower purée. Oyster mushrooms, leeks, salmon caviar, chive beurre blanc, roasted carrots and quinoa. With ragout of short ribs, hardy greens and Reggiano. With meringue and fresh berries.